The simplest way to establish a reputable relationship with your mobile users is to create a web presence that appeals to their browsing “style”. BayStranger will help you determine which pages of your site are relevant and meaningful to your mobile users, and will work with you to refine content, create a mobile domain name (ie. mobile.yourdomain.com) and build an appealing and quick loading mobile site. A mobile application is a custom piece of software, designed specifically for the device of your choice. The experience is customized for the iPhone, iPad, Blackberry or Android user, and is downloaded from an application store or directly from a website. 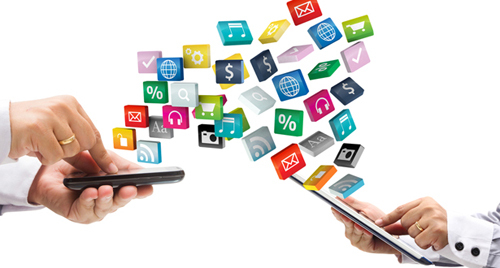 Some examples of mobile web application usage include content and news delivery, calculations, product information and instruction, mapping or location and social connections. A mobile application can provide a very rich user experience, especially since they are designed specifically for certain devices. It is an excellent opportunity for an organization to leverage internal efficiency and to build a stronger relationship with your end user. With geolocation, social media integration and loads of other potential offerings, your mobile application can become the gateway to a new audience.